The last few years have seen a drastic rise in awareness among people about the amount of synthetically available amenities and the various undesirable compromises they bring with them. An abundance of foods are produced with the help of synthetic chemicals, some of which make way into our bodies. Travel and communication has become convenient at the expense of air, noise and sound pollution. Decent living spaces but it’s rarely a heavenly abode, as we pretend it to be. The majority of the 21st Century’s population spends most of their time indoors in a closed environment. Houses, cafes, offices are all places that strive to be a certain way for them to function properly — desirable in case of cafes, enjoyable and non-strenuous in case of offices and safe in case of homes. One common aspect of all indoor spaces these days are air-conditioners to maintain comfortable temperatures and, in some cases, to maintain acceptable air-purity. But do we really know what’s in our air? The outside air pollution is obvious with the formidable amount of poisonous gases being discharged into the air from the vehicles.The indoor air is equally polluted. Apart from Oxygen, water vapor and Carbon Dioxide, there are some commonly found indoor toxins like Volatile organic compounds (VOCs), mold, pollen dust, fumes from varnishes and paint, pet hair, body sprays, room fresheners, smoke from candles and incense sticks, put there because of the modern amenities that we prefer and are dependent on. The most common toxins are mentioned below with their adverse effects on humans depending on how much and how long a person is exposed to them. It is used to make most of the synthetically produced articles like plastics, fibers, dyes, detergents, lubricants etc, and hence, found in automobile emissions, glue, paint, furniture wax, pesticides and tobacco smoke. If exposed to it for a short term, the symptoms associated with it are irritation of eyes, drowsiness, dizziness, increased heart rate, headaches and confusion. In some cases, it can result in unconsciousness. It is found in smelling salts, floor waxes, window cleaners and fertilizers. It is the pungent smell one might associate with public urinals. A short-term exposure results in symptoms like eye irritation, coughing and sore throat. This is found in paper bags, paper towels, facial tissues, table napkins, waxed papers, particle boards, plywood, synthetic fibers and others. Short-term exposure symptoms associated with it are irritation of nose, mouth and throat. In severe cases, it can cause swelling of the larynx and lungs. This is the one that is found in printing inks, paints, lacquers, varnishes, adhesives, paint removers, etc. If exposed to it for a short time period, the symptoms associated with it are dizziness, excitement, headache, nausea, vomiting followed by drowsiness and coma. It is the chemical found in rubber, printing inks, leather, paints, tobacco smoke and exhausts. Short exposure to it causes symptoms including throat and mouth irritation, dizziness, headache, confusion, heart problems, damage to the liver or kidney and coma. 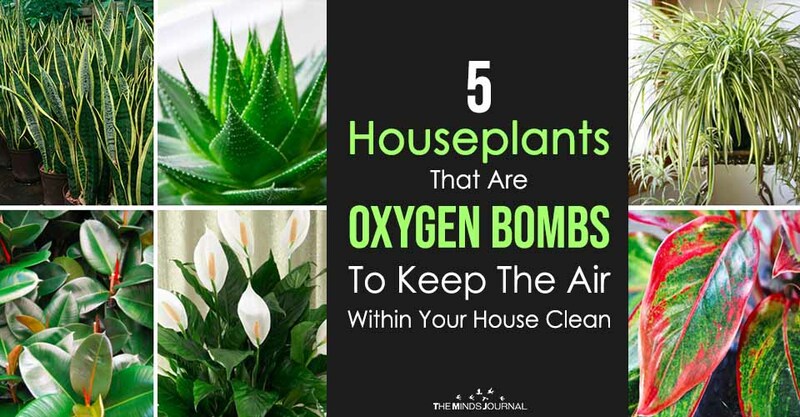 In an effort to find a solution to the air toxicity inside habitable spaces, the Clean Air Study (1) conducted by NASA with the Associated Landscape Contractors of America (in 1989), presented a list of plants that can be integrated into the domestic environment that help reduce the toxins and increase the oxygen content greatly. The study headed by Dr. B. C. Wolverton admittedly dates back to 1989 but it is still considered the most accurate and comprehensive study till date. The common ivy is an ornamental plant widely used to cover walls. It cools the interiors in summers and insulates in winters. For domestic purposes, it is best to grow them in pots to keep them from either invading other plants or causing structural damage to the walls (if left to grow uninterrupted). It is also low-maintenance and flexible with respect to growing conditions. 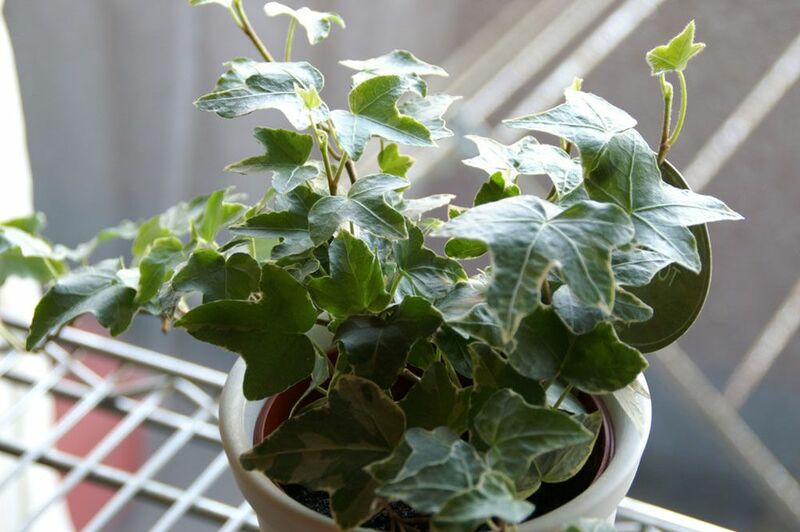 Apart from its toxin eradication benefits, the English Ivy is also capable of removing more than 58% feces particles along with 60% of air toxins only within six hours. These are also known as closet plants. They are very popularly used in offices and homes. Peace lilies are easy to care for — easiest among the most indoor plants — however, proper growing conditions are still important for them. They curb molds and hence make for good additions in the bathrooms and wet spaces. 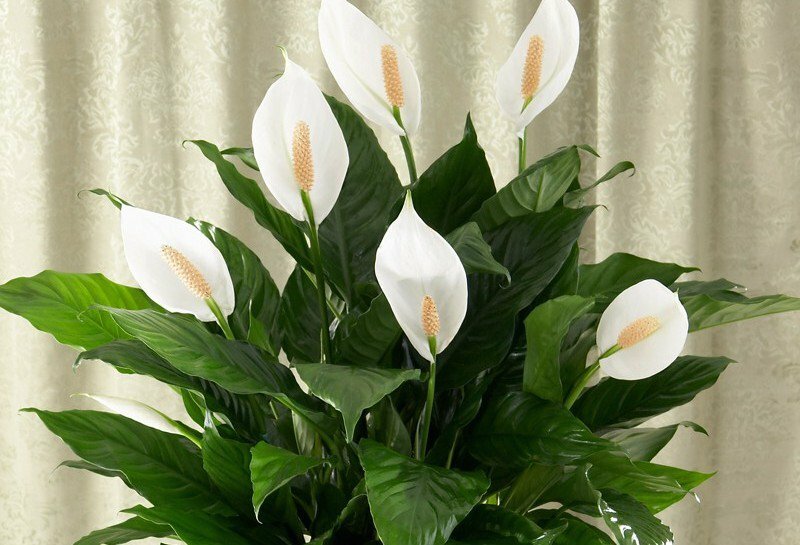 Peace lily has been found to efficiently remove Benzene and Trichloroethylene commonly found in varnish, lacquer and paints. They absorb these harmful chemicals through their leaves, which is transported to the roots to be broken down by the microbes in the soil. The major downside of the Peace Lily is that ingesting some parts of it could be mildly toxic. Upon ingestion, one can feel nauseous, experience some difficulties in swallowing and feel a sensation of burning on the skin or inside of the mouth. If such symptoms appear, it is better to opt for immediate medical attention. Keeping away pets from this plant is also crucial.